More powerful, advanced processor cores may cost more but can reduce the overall IT budget. SMI helped a major defense-related research facility upgrade their large installed base of aging systems running on Solaris 10 with minimal disruption by recommending the Fujitsu M10-1. Read more about the project and the advantages of the M10-1. Check out the article, Outdated technology: A channel partner challenge, to read about the challenges channel partners face when they encounter outdated technology in clients’ datacenters. 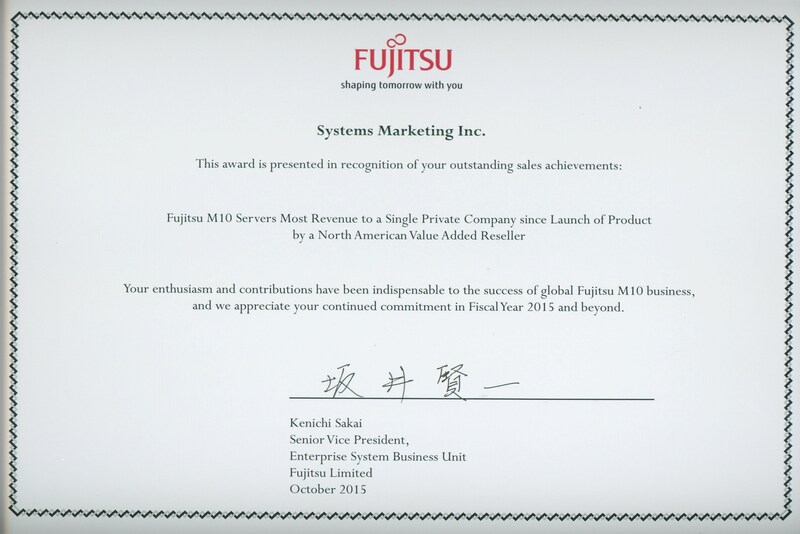 Peter McLoughlin, President of SMI, accepts an award from Fujitsu for the largest sale of M10 servers to a single private company. Read about how SMI partnered with Fujitsu to install M10-4 servers in major pharmaceutical company.